Each family has its own way of celebrating Mother’s Day, especially when the children are still small. The illusion of waking up and running to Mom’s bed to hug her, giving her the best smile, a gift or just giving her a kiss is the best gift for mothers. 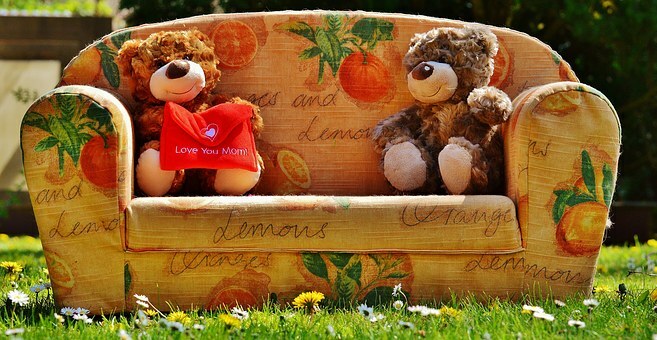 The Mother’s Day is an ideal place to stage demonstrations of affection and make a small tribute to the mother occasion. You can start the day by offering a delicious breakfast to Mom. Before Mom wakes up, go to the kitchen to prepare a surprise breakfast with original cookies, a cake, the fruit you like the most. You put everything on a previously decorated tray, and take it to Mama’s bed. You can also prepare a meal that will surprise her. But do not forget to carry a lot of affection, a smile, many kisses and hugs in the tray. As Mother’s Day is also a day of integration, it would not hurt to enjoy a sport together. Choose the one that Mama likes, of course: swimming, tennis, paddle, yoga, etc. Ideally everyone could participate and play a game of some sport. A Happy Mother’s Day song could be a great way to celebrate the day with an emotional and sensitive mother. A rhythmic mother’s day song and celebration could be a different way to make your mother happy. A greeting card with the best drawing or painting of children is also a good gift for sensitive moms. If children are somewhat older, they will also be able to craft an original craftsmanship. For this type of parents, there will be no better gift than the one made by the hands of their children. We recommend that you choose a movie, video or film, and invite Mom to see it. There are movies that talk about mothers, funny and emotional. You can also make a video or album with photos of the most intimate moments of the coexistence between parents and children, or write a small text or story in which the protagonist is a mom. Right now, in the marketplace, there are so many books that mothers may be interested in: books on motherhood, cookbooks, crafts, women’s biographies, romantic literature, etc. A book is always a welcome gift to all. This entry was posted in Gifts and tagged celebration, gift, Mother’s Day.